A bubble within a bubble! These double bubble balloons are wonderful and make a huge impact. Inside this bubble are inflated wine Bottle/ Glass. Bubble balloons have the longest floating time amongst all the balloons! It can float up to 3 weeks! 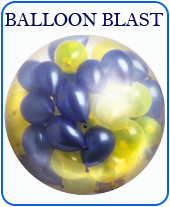 Manufactured in USA by Qualatex – The Very Best Balloons! Quality : CE. Helium Quality.